September 5, 2018 4:49 pm. Champagne Cuddles will resume against stablemate Egyptian Symbol in the Sheraco Stakes at Rosehill. As Bjorn Baker prepares to farewell stable mainstay Egyptian Symbol, barnmate Champagne Cuddles is emerging as the multiple stakeswinner’s heir apparent. Egyptian Symbol has been among the trainer’s most consistent performers but is nearing her racetrack swan song as broodmare duties beckon. At the other end of the career spectrum, Champagne Cuddles is coming out of a three-year-old season that yielded a Gold Coast Guineas win as well as placings in all four Princess Series races, the Golden Rose and the Stradbroke Handicap. 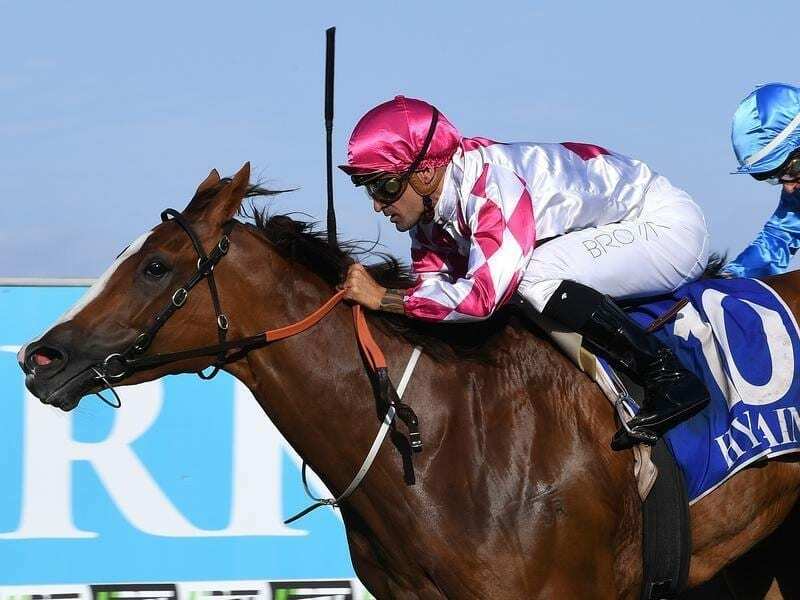 The two mares will clash in the Sheraco Stakes (1200m) at Rosehill on Saturday, Egyptian Symbol off the back of a last-start win and Champagne Cuddles first-up since the Brisbane winter carnival. The latter is early favourite for the Sheraco and Baker has her ready to rumble. “She’s right where we want her and she’s got a bit of residual fitness from Brisbane as well,” Baker said. With form around Trapeze Artist and Santa Ana Lane and a recent barrier trial second to Redzel, Champagne Cuddles remains a wildcard for The Everest. Egyptian Symbol is prominent in Sheraco markets at $9 and Baker says she has trained on well since the Toy Show Quality. “She comes back every year and wins a stakes race and she’s won just under one million dollars so she’s been a good advertisement,’ Baker said.